Some people think that cold calls just happen. 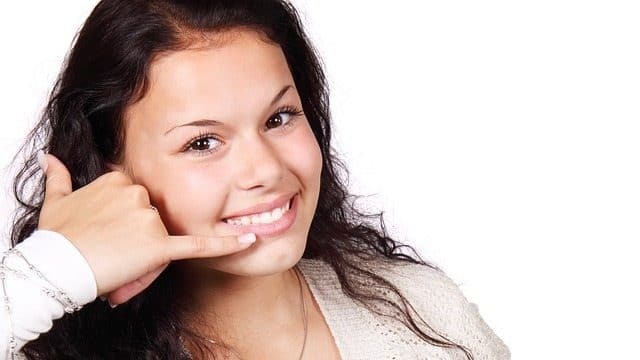 Give a caller the Yellow Pages (as it used to be called) and a ‘script’ and lo and behold, new business appointments will flow and your lead generation will take off. If only that were true. In fact, that approach is doomed to failure since it omits so many of the fundamentals of successful cold calling. If you want to deliver effective results from b2b appointment setting, you need a telemarketing strategy. You need a plan of action. You need to prepare. Below are my recommendations for how to put together a telemarketing campaign to get best results. 1. Think Customer first – you have to start with your audience in mind. What sectors are you calling? Where are you going to get your list? Is the list valid to call without lots of wrong number and goneaways? Who is the decision maker? Do you have their name and job title? Getting the target market right, including the elements above is your primary task in successful cold calling. You won’t reach your goals if you’re calling the wrong people. 2. Identify what’s in it for your prospects? – this doesn’t mean coming up with a stiff script that makes the caller sound like a call centre robot who knows nothing about anything. It’s about really understanding buyer challenges and opportunities with which you can assist. It’s about identifying a genuinely compelling reason to meet. Then it’s a case of pulling that together into a briefing document that includes how to handle typical objections and a strong call intro to whet the buyer’s appetite. Importantly, given the commoditised world in which we live, this should also include reasons why the buyer should meet you even when they already have suppliers in place. 3. Brief your callers – you just can’t give them the list and the script (and even the briefing document above), tell them to get on with it and then hope for the best. It’s your responsibility to ensure that callers know as much about your services as possible and how those services benefit your clients. It’s equally important that the telemarketer really understands the kind of issues buyers may be facing and why they buy your type of services. I favour a verbal briefing (alongside the written information) either face to face or by phone. That allows for discussion and questions. 4. Be flexible – Take feedback from your cold callers. Track their calls and listen and monitor if possible. Make sure you regularly review performance and change target or proposition if it isn’t working. You have to give it time but that’s based on evaluation of the pipeline that is being built. If you can see warm leads and a pipeline of call backs, you can feel more comfortable that results will come. But if nothing is forthcoming after an assessment of future opportunities and you’re several weeks in, maybe it’s time to change course. 5. Provide the tools for your callers– we mentioned the briefing above. It’s also ideal that the callers have the tools of the trade to facilitate effective calling. That means some form of CRM system. We recently doubled our productivity by implementation of a new CRM system. That gave us better results and happier callers that had access to everything they need at their fingertips. Call backs are easy to schedule and all the previous call notes are to hand. Cold calling is hard enough without having to work on scraps of paper or when you need to use excel that isn’t designed for this kind of exercise. So, make technology part of your planning. If telemarketing is a key part of your marketing, make sure you have the right tools to do the job. 6. Train your callers. – some people are inherently better on the phone than others. Some are just more confident. Equally, if you have something good to sell to a receptive market it’s easier than the opposite. Equally, like in any discipline, there are skills, techniques and tips that have to be learned. Therefore, if cold calling is an essential part of your lead generation strategy, make sure that you invest in your callers by providing skills training. Already doing telemarketing yourself but not getting the results you need? GSA can also provide telemarketing training for your existing staff, bringing them new skills, telemarketing tips, know-how or just a different approach. 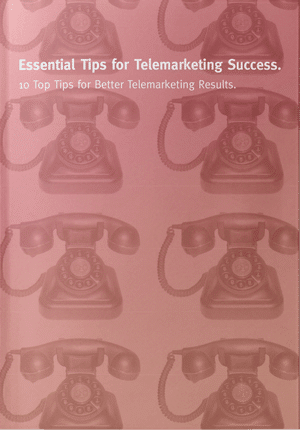 Also, check out our essential guide to telemarketing success.